Last year saw cases of measles explode in Europe. The World Health Organization states that cases of measles in Europe went from a record low 5273 in 2016 to approximately 21,300 cases in 2017, representing a fourfold increase in measles cases. The result of this outbreak was that at least 35 children died and many more became gravely ill. The center of the largest outbreak was Romania, which saw the most deaths, and where there were 5562 cases of measles. Romania has a public health system struggling for adequate funding as well as a rural population which often fails to vaccinate children and frequently don’t take children to the hospital when they come down with a disease. Italy saw the second biggest outbreak with approximately 5000 cases and three deaths. The European Center for Prevention and Disease Control reports that the majority of the cases, approximately 88%, developed in people who had never been vaccinated. Another 7% of cases were discovered in those who hadn’t received the recommended doses of the vaccine. 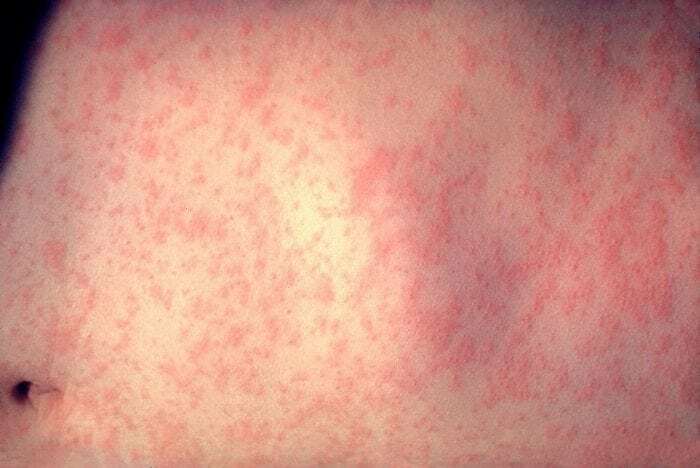 Other locations of major outbreaks include Ukraine, which saw 4767 measles cases develop, and Britain, France, Germany, and Tajikistan, which saw around 1000 cases of measles each. The high amount of unvaccinated children in Europe is probably related to the endurance of anti-vaccination movements within various European countries. Europe has more anti-vaccination movements than the United States does, and some conservative religious Protestant groups within Europe think vaccinating children goes against God’s plan. The success of any vaccine movements is compounded by a persistent belief that vaccines are linked to the development of autism. The source of the belief that autism and vaccines are linked goes back to a study published in the journal Lancet by Andrew Wakefield twenty years ago. Wakefield’s study purported that the Measles, Mumps and Rubella vaccine was responsible for the development of intestinal inflammation and autism in children. The survey sparked fears in many parents who were now worried that getting their children vaccinated would lead to a developmental disability. Crucially though, many other researchers tried to replicate the results of the Wakefield study, yet were unable to. Wakefield’s original study used only 12 children as its sample size, and larger-scale studies were unable to find the alleged link between autism and the MMR vaccine. Furthermore, Wakefield ended up losing his British medical license upon the revelation of the fact that he was being paid as a consultant for law firms bringing lawsuits against various vaccine companies. This conflict of interest, combined with the study’s failure to replicate led the British Medical Journal to label the research “fraudulent” and the journal Lancet would end up retracting the study in February 2010. In the years since the Wakefield study was originally published, hundreds of more studies have been done regarding the effects of vaccines on children. Thousands of children have been monitored for potential side effects of vaccination since 2010 and no correlation has been found between vaccination and the development of autism. We can say with almost as much certainty that anybody could ever say, that vaccines don’t cause autism. Scientists and doctors, like Dr. Benjamin Mazer of the Yale-New Haven Hospital, are frustrated with how influential the Wakefield study continues to be. Despite the mounting evidence against the conclusions of the study, the retraction of the study, Wakefield’s loss of license, and the conflict of interest inherent in the study, the study is still held up as evidence by anti-vaccination proponents that vaccines are responsible for the development of autism. Mazer says there’s no amount of evidence that will convince anti-vaccine proponents otherwise. Though he understands that parents want to find an answer for the cause of autism and since the cause of autism is very much a mystery the answer that vaccines cause it is “an appealing idea”. Mazer also points to the distrust that arises from the profit motives which manifest themselves in the pharmaceutical industry. Mazer argues that this distrust, along with feelings of dehumanization from overworked medical professionals, contribute to a general suspicion about modern medicine and pharmaceuticals. The atmosphere of distrust in Europe, and to a lesser extent in the United States, has enabled anti-vaccination movements to proliferate across Europe in the past few years. Prior to the outbreak, Italy saw a serious attempt by anti-vaccination groups to convince people to forego getting vaccines for themselves or their children. The problem is that a group of people’s resistance to the spread of diseases like measles, rubella, and influenza depend on something called herd immunity. 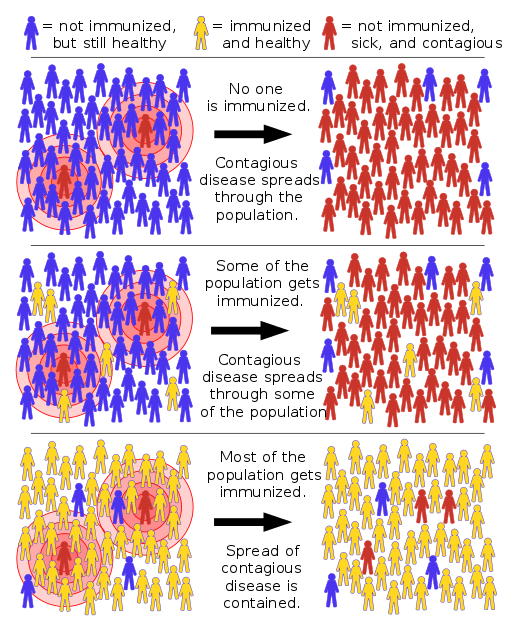 Herd immunity refers to the critical point at which a disease cannot effectively penetrate into a population because too many members of the population are resistant to it. This point is typically about 95% vaccination coverage, meeting that only a very small amount of people, about 5%, need to forego getting the vaccinations for an outbreak to occur. Organizations like the CDC and the World Health Organization will need to find better ways to convince suspicious parents that vaccines cannot make a child develop autism. Until then, some European countries have come down hard on parents who don’t vaccinate their children in an effort to prevent future outbreaks. Laws have recently been passed in Italy, Germany, and France that mandate parents get their children vaccinated or consult a physician about the topic. Failure to comply with the law will net a fine of between $600-$3000 in Italy and Germany. As for the United States, measles was effectively eliminated around 2000, but travelers carrying the disease have caused the occasional outbreak. 2015 saw the famous Disneyland outbreak of measles, which ended with over 150 people across seven states being infected. 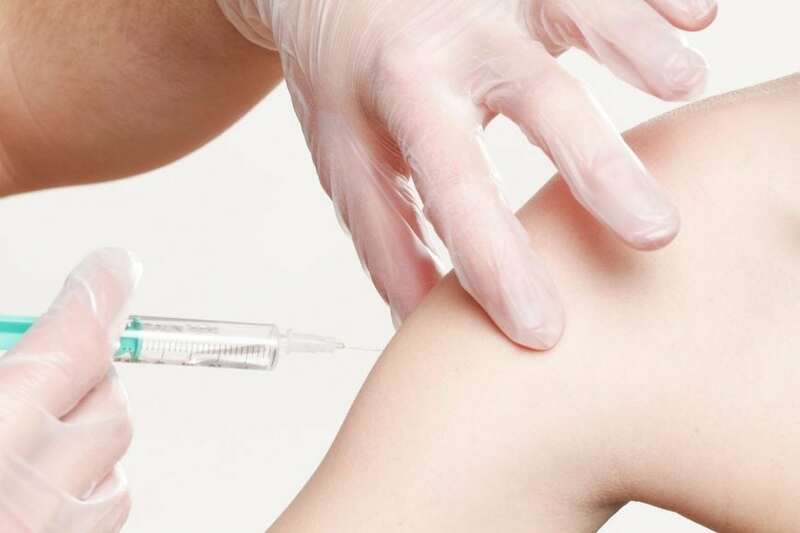 There has been little communication from the federal government revolving around vaccines, but states are taking the issue into their own hands, with some states like Oregon barring unvaccinated children from attending school. Approximately two people die for every one thousand people infected with measles, though rates of death can be as high as 6% in places developing nations where health care is rarer. Despite the recent challenges posed by the new outbreak, globally deaths from measles have dropped dramatically since the 1980s where the disease was responsible for the deaths of almost 2.6 million people a year. Deaths fell below 100,000 for the first time during 2016. Research into more effective vaccines also continues. Mazer thinks that the new outbreaks will probably urge people to start vaccinating again, but that it’s also important to address the issues that are causing people to be suspicious in the first place.